When I first decided to write a review On Queen Bee Eye Cream and checked the company’s description about the product, I was surprised to see how many skin issues this cream claimed to deal with. According to the company, for example, this cream fights dark circles, puffiness, fine lines and wrinkles. “What else can a woman and even a man ask from a beauty eye product?” I said to myself. Queen Bee eye cream reviews seemed very positive, too. So, that’s how I started digging deeper into this product to check whether the claims of the company were hard to beat. The first thing I liked about Queen Bee eye cream was that the product contains natural and organic ingredients and since I am a fan of organic natural skin care, that really urged me to try and find out more. I also liked that this cream is handmade in the Pocono Mountains of Pennsylvania. How more romantic it could get? The mountains obstructed my attention a bit to tell you the truth 🙂 but I had to stop my imagination running and look for more facts. A natural organic formula that quickly removes dark under eye circles and puffiness and helps to fade fine lines and wrinkles. Moisturizes, leaving skin soft and smooth. Contains no cancer causing additives or preservatives. 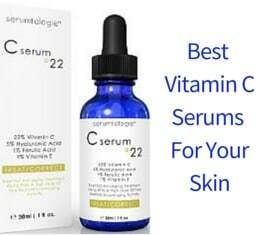 Causes little or no irritation even to sensitive skin. This eye cream is hand made with care. Organic Olive Oil– Olive oil brings vitamins and minerals to the area under and around your eyes while helping to lock in your skin’s natural moisture. Beeswax– Beeswax contains vitamin A and works to sooth skin and hold in moisture. It also contains antibacterial properties all of which can make your eyes look and feel healthier. Coconut Oil– Coconut oil also has several properties that can help your eyes look and feel better. First of all, coconut oil helps to gently remove dead skin cells. It also penetrates deep into you skin, moisturizing it deep down and strengthens the underlying tissues, all of which results in the skin around your eyes looking healthier. Shea Butter– Like olive oil, beeswax and coconut oil, Shea butter helps to lock in your skins natural moisture helping to remove those fine lines and wrinkles. Vitamin K– While under eye puffiness and circles can be caused by many different things, one of the most common causes is that the capillaries under the eyes weaken allowing blood to collect under the thin skin of the eye. Vitamin K helps to strengthen these capillaries and improve under eye circulation which helps to reduce those under eye circles and puffiness. While combined with the Vitamin A in beeswax as well as the vitamins in Olive oil, Vitamin K’s effectiveness greatly improves. Vanilla Essential Oil– Vanilla essential oil contains strong antioxidants which help control those free radicals that are one of the causes of fine lines, wrinkles, and premature aging. The combination of these 5 ingredients work together to help moisturize your skin while strengthening the underlying tissue and capillaries as well as reducing wrinkles. Best of all, because this eye cream is not made with any chemicals, artificial coloring or preservatives, you won’t be treating that eye area to a product that can cause more harm than good. 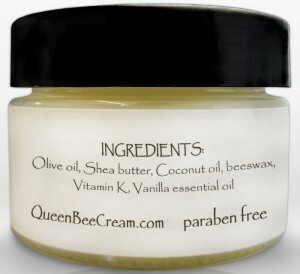 What Do The Queen Bee Eye Cream Reviews Have To Say? 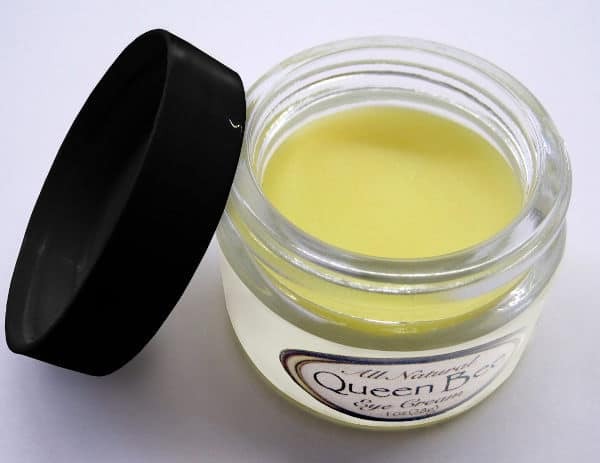 Reviews for Queen Bee are exceptionally positive and while not every user finds success using this eye cream, the vast majority of users do experience healthier looking skin around their eyes. Reduction/Improvement in dark under eye circles. 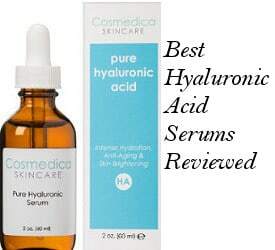 Softening of fine lines and wrinkles due to the improvement of the levels of hydration on the area. Reduction of some acne scars. Natural and organic ingredients that work well even with sensitive skin. The majority of users saw improvement with their dark circles and the general appearance of their eyes area over the course of around 6 weeks. For some others, it worked even sooner. 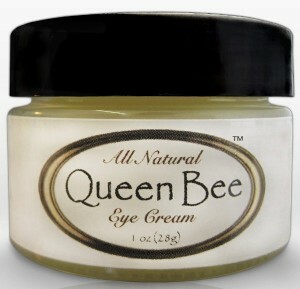 Queen Bee eye cream moisturizes efficiently and a lot have been using it on their face and lips as well. 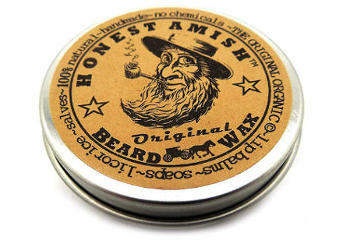 Its waxy kind of balm like texture makes the skin look shiny, so some users use it only during the night. Beeswax that is contained in this cream is a comedogenic ingredient, meaning able to block pores, so this cream might not be so suitable for combination or acne prone types of skin. Completing my Queen Bee Under Eye Cream Review, let me share with you my final take on the product. Queen Bee Eye cream may not be the miracle product you could expect as to the elimination of wrinkles but it can help you moisturize your eyes area effectively and with the use of natural and organic ingredients. It can also be helpful with dark circles. Considering the above and the product’s very positive user reviews as well as keeping in mind that its price is quite good, Queen Bee Natural eye cream is a choice that can actually work quite well for you to obtain healthy looking and more resistant to aging under eye skin area.